*PS: There will be a contest at the end of the post. 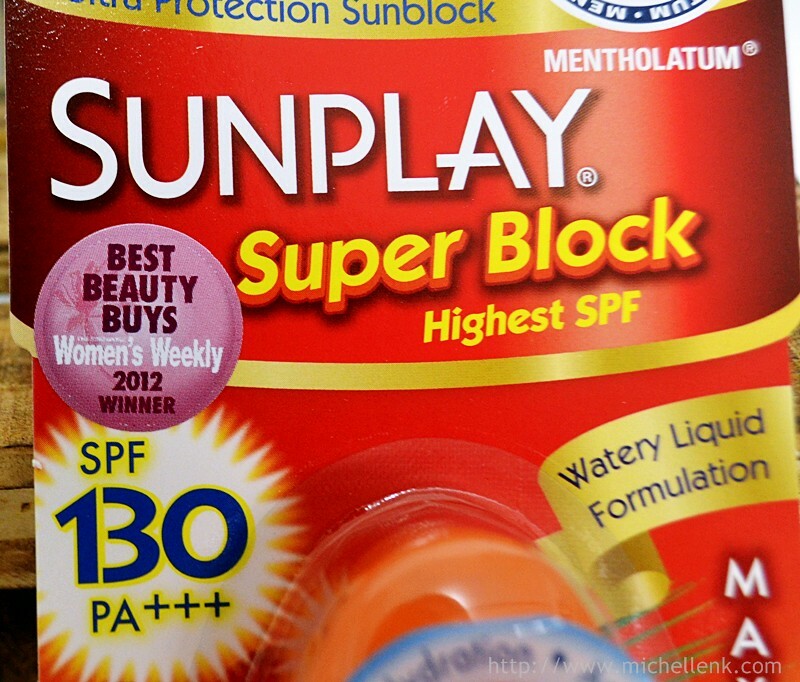 Introducing to you again, the jinx of all the harmful sun damage, Sunplay Super Block SPF 130!! 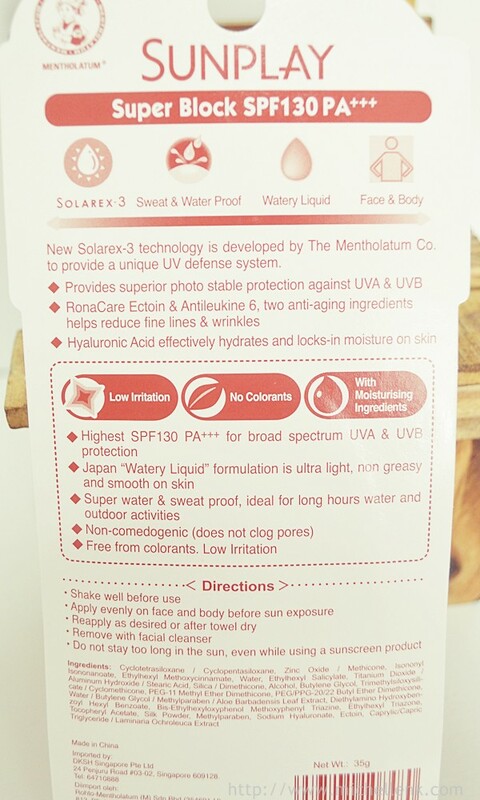 Highest UVB and UVA protection. 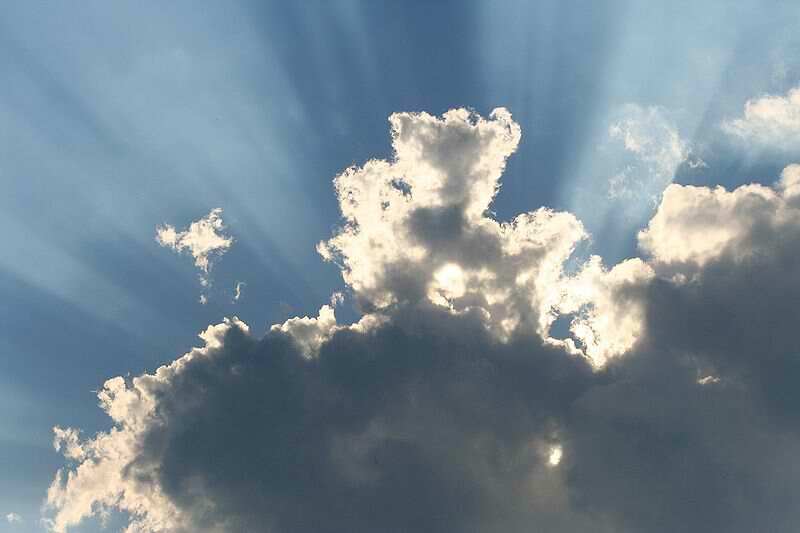 Has UV Reflectant Technology that acts like a mirror to reflect UV rays away from your skin. Superior photo stability for long hours under the sun. SUNPLAY has Ronacare Ectoin and Antileukine 6, two advanced anti-aging ingredients to protect your skin from aging, wrinkles and brown spots. SUNPLAY has Hyaluronic Acid, which can lock up 1000X its weight in water. 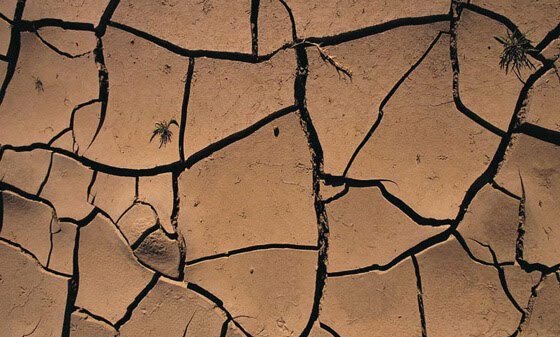 This helps to reduce water loss from your skin, and ensure continual skin moisture. 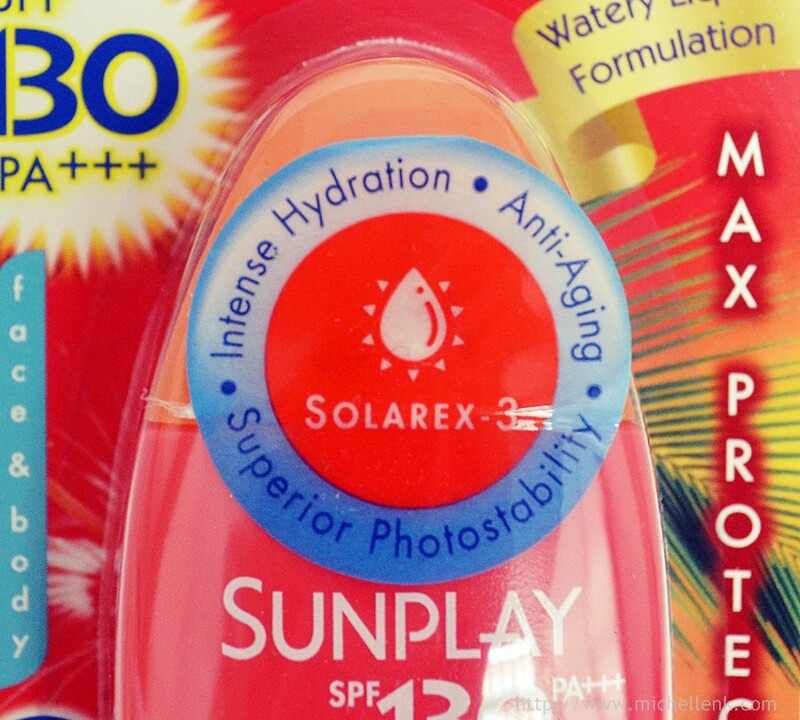 It is light like water and non-greasy, unlike other suncare products in the market. 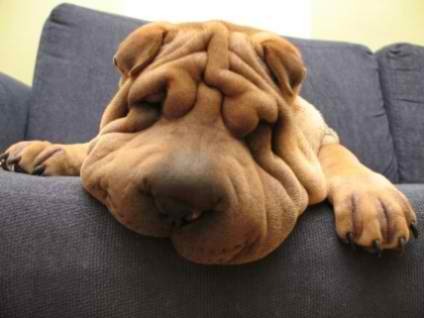 It is also easily absorbed and does not clog pores. Besides, as seen in the picture, its rather liquid, hence making the application even easier! 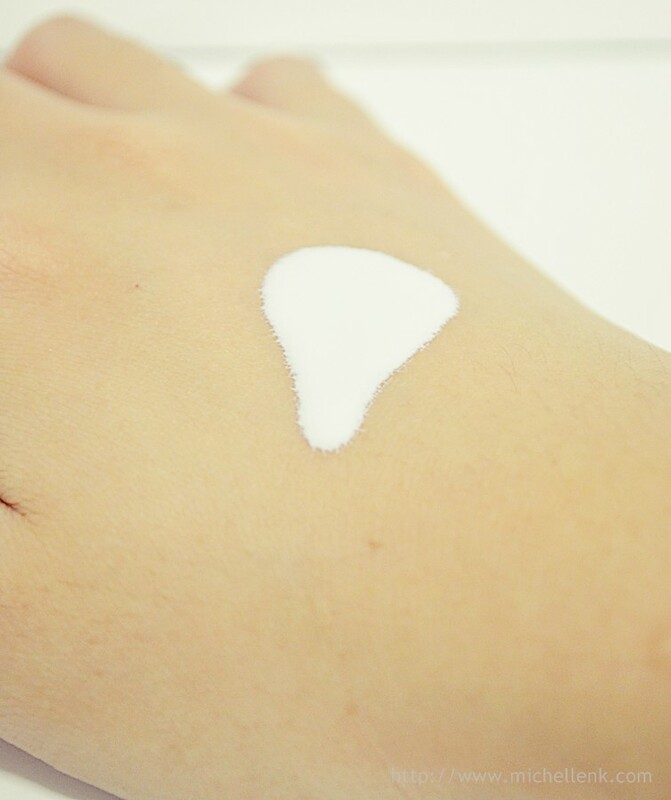 It can be use in every parts of the body, including face! 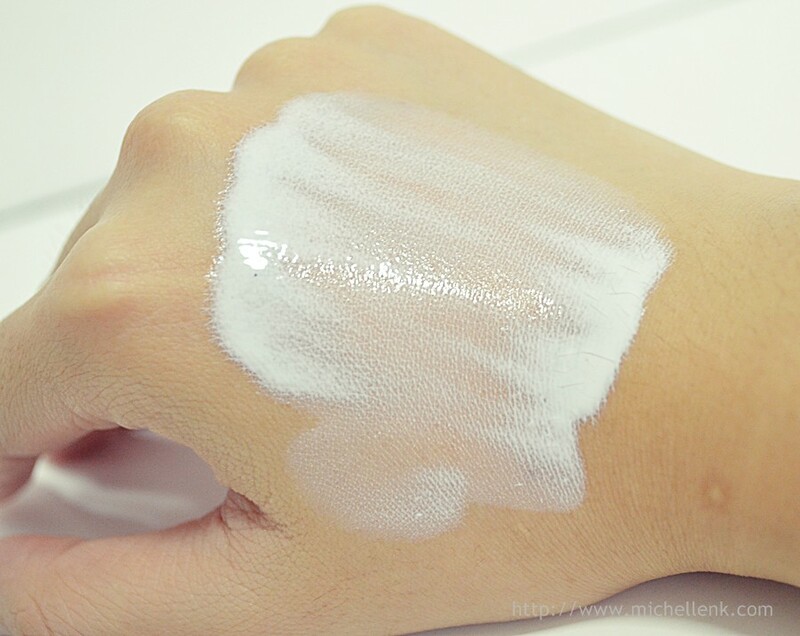 I used it as a make up base and I would apply a thin layer of it onto my face after cleansing and toning. It helps to keep my make up stay on longer, and there won't be any stickiness or uncomfortable feeling. You can get it at all leading pharmacies, departmental stores, Watsons', John Little and many more. 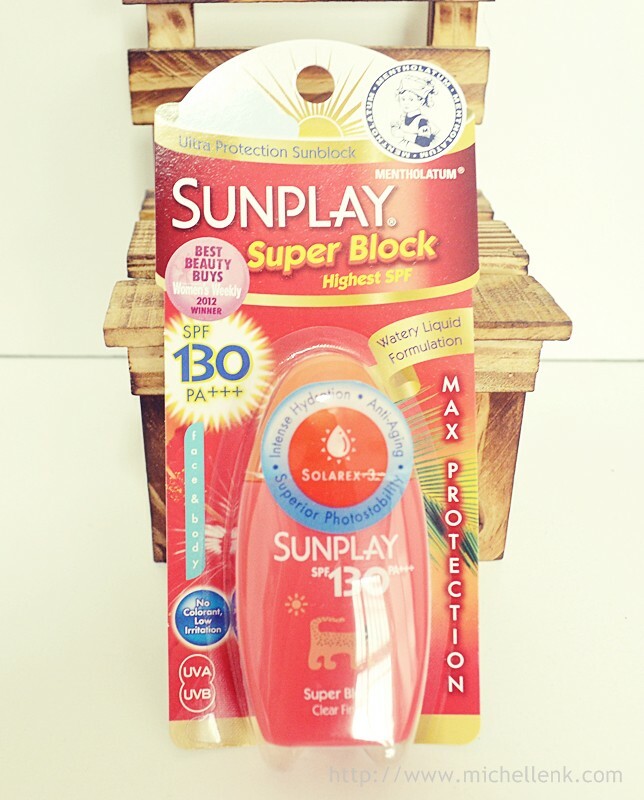 Sunplay Super Block SPF 130 is retailing at SGD$17.20. 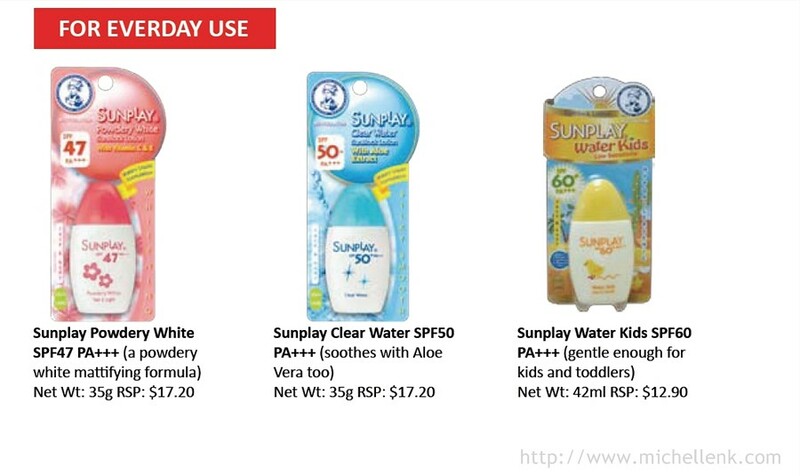 Sunplay's facebook is currently having a contest and 20 lucky readers to post “I Love Sunplay because...” on Sunplay’s Facebook wall https://www.facebook.com/sunplaysg stands a chance to win prizes sponsored by Sunplay. The constest will end on 10th June at 2359 hours and winners will be announced on the following day, Monday 11th June at 1500hours.